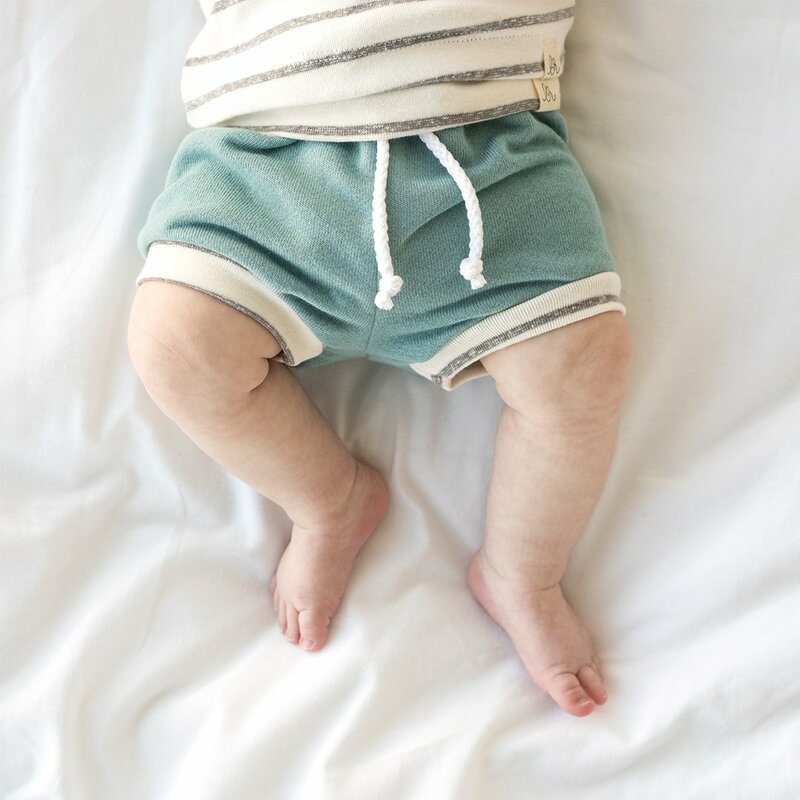 These cute and soft Aruba and Coastal Stripe Beach Shorties are a perfect color for the warm winter months. Don't forget a hoodie and/or headband to complete your little ones outfit. This style is a slimmer fit, sizing up is recommended for a roomier fit. Items are not pre-shrunk so please allow for about 10% shrinkage if machine dried.